Leo Hoffman is a man of many contradictions. He is a Hungarian national with a French passport, a wealthy businessman with no visible means of support, and a devoted father who hasn’t seen his daughter in years. He is also a spy. Recruited by the Allies to help lay the groundwork for their invasion of North Africa, Leo intends to do as little spying as possible; he just wants to earn his American citizenship, get to New York, and find his daughter, Maddy. 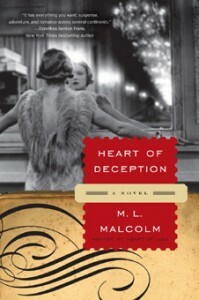 But while Leo dodges death in France and Morocco, Maddy learns the truth behind her father’s mysterious past. 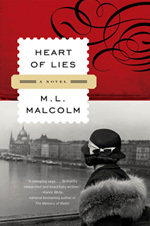 Spanning the years from World War II to the turbulent 1960s, this sequel to Heart of Deception tells the riveting story of a family struggling with the choices that war forces them to make, and the consequences that take a generation to unfold. Heart of Deception opens at the Hotel El in Tangier, which was the inspiration for Rick’s Café American in the play, “Everybody Goes to Rick’s,” upon which the movie “Casablanca” was based. 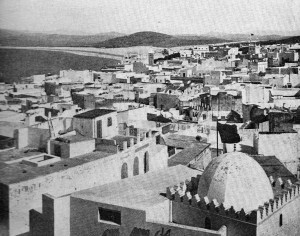 Tangier, like Shanghai, was run by an international council, so it was also an “anything goes” sort of place, and a perfect home for spies. Christine Granville, whose life intersects with Leo’s in very dramatic ways, was one of the most glamorous and successful undercover agents to work for the Special Operations Executive, the war-time British spy organization. Christine Granville, Churchill’s Favorite Spy. 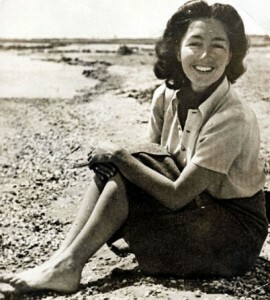 Born Krystyna Skarbek, the daughter of a Polish count, she began her career as a spy by skiing from Hungary across the Tatra Mountains back into Poland to do reconnaissance. She evaded capture by the Germans multiple times (once by pretending to have tuberculosis by biting her tongue so hard that she ‘coughed up’ blood). By all accounts fidelity was never her strong suit. After the war she had an affair with Ian Fleming, and he used her as the inspiration for “Vesper Lynd,” the double agent in his first James Bond novel, Casino Royale. The other reason I set Leo’s story in North Africa is because that’s where the real espionage action began. 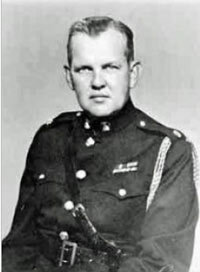 In 1942, O.S.S founder William “Wild Bill” Donovan sent Colonel William Eddy, who had an outstanding service record in WWI in military intelligence, to head up the U.S. and English spy operations in preparation for what would become “Operation Torch,” the first allied invasion of the war. Leo plays a key role in helping dupe the Nazis regarding the time and place for the invasion.